Every year brings an array of significant traffic news and 2017 is no different. 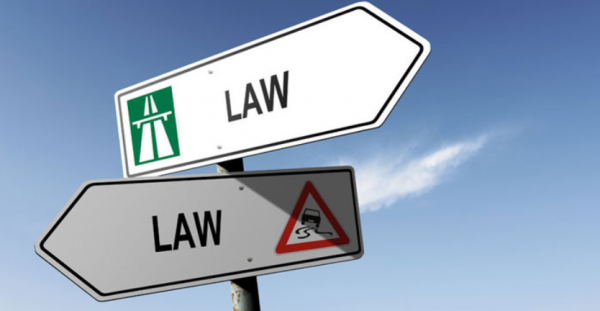 Here are a few of the latest traffic laws throughout the country that are making headlines. …has become the first state to pass a cell phone ban while driving. Many states have laws regarding texting while driving or going hands-free while driving. But studies have shown that talking on the phone, even by Bluetooth, can be a distraction while driving. As such, this law goes into effect: you can receive a $136 fine the first time you are spotted driving while on or using the phone. The fines increase from there, based on the frequency in which you receive tickets. Also, keep in mind that you can take a defensive driving course to remove points on your driving record for minor traffic infractions, but that is not an option with this type of violation. …has recently passed a law that requires ignition interlock devices be placed in the cars of anyone convicted of a DUI, including their first one. Typically, these devices are utilized when someone has multiple DUIs. Currently, the program is in a testing phase in four counties. It is expected to slowly roll out to other counties once all the kinks are worked out. It is expected that every county will be on board by January 1, 2019. Many Californians are criticizing this new law for various reasons. 1. Ignition interlock devices are expensive to install in vehicles and 2. a drunk person can have anyone who is not drunk blow into the device and start the car. Many people also proclaim that it is overkill to have first-time offenders required to have this device installed in their car for a period of time. However, a larger percentage of Californians believe in the proponents of the law that ar looking to curb drunk driving and feel this may the way to do it. …has made headlines for passing a law that allows law enforcement to pull over people who are impeding traffic in the fast lane, even if they are going the speed limit. If a driver is in the fast lane on the freeway and has a line of cars built up behind them, they are required to pull over into one of the slower lanes. Unfortunately, many people do not. Studies have shown, this is the number one cause for road rage, and road rage is becoming more prevalent. As such, law enforcement is looking to curb this behavior using this law. Additionally, keeping traffic flowing in the left lane is vital in case of an accident, as law enforcement and emergency vehicles use this lane in these circumstances. Every state has seatbelt laws. However, if an adult is not buckled up in the car, that passenger will receive the ticket. …just passed a law that states that the driver is now given the ticket because it is their responsibility to ensure all passengers are fully buckled up before they drive off. This law is making headlines because many feel an adult should be responsible for their own choices. However, not wearing a seatbelt leads to more serious injuries or death than anything else in a car accident. Many Mississippi drivers support that law hoping it will increase seatbelt safety. Traffic laws are ever changing as our society changes. Some laws are controversial, while others are simply revolutionary. Learning about what laws are making news may be an indication as to what traffic laws may soon be coming to the state you reside in.